How to Get Temporary Residence Permit to Latvia? Europe has fascinating aura and no matter whether it is the flora or fauna or the relatively higher degree of the people with whom the immigrant has to interact on a daily basis, it has been splendid in all the respect. And if you were wondering that this was all which was required, you need to think again since the best working hours, standard of living and promising incomes have completely given a new zest to the movement. But there have been a lot of complexities and the authorities in the European Union (EU) are also pretty vigilant to check the immigration from close angles. So, as an immigrant, one must have proper documentation ready before applying for any of the country in the EU. Now, as an immigrant, if you are clueless about which country would be the best place for the movement, take a look at this piece and see for yourself which has been best visas for the movement in the EU. No matter whether it is England, Wales, Scotland or Ireland–all of them have been equally promising towards ensuring better movement opportunities. Now, if you think that the list just got exhausted, there is one more name to bank upon—Latvia. Yes, Latvia has been slowly and steadily emerging as a game changing proposition for the immigrants who wish to immigrate to Europe! The place has been excellent in compelling the immigrants to think for a future in this country and they are rightfully doing that. Latvia is a Schengen country, and as per the treaty of agreement and understanding with all the Schengen Countries, there is a greater possibility for the immigrants to roam about freely in any Schengen country without any restriction. The same goes with this Baltic Nation, and under the immigration visa, one can move to any Schengen county for tourism, work and study purpose, without any restriction. How to Move to Latvia! Immigration to the nation can be streamlined through the Latvia Temporary Residence Permit, and under the immigration visa, the seekers who move to Latvia can live up to 1 year in this country. 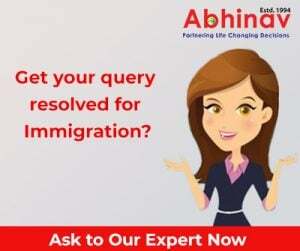 However, under certain specific condition based on which the immigration happens, the immigrants have the leverage to extend the duration of the stay from one year to five year, but only under the guidelines of the immigration department in Latvia. The extension is basically granted keeping in mind the economic benefits the immigrant can bring for the economy, the past record of the immigrant, and how strong the economy is to provide a long term expansion of stay to an alien in Latvia. Basically, most of the times the extension is challenged by the citizens of Latvia who are threatened of job losses. So, during such times, the immigration authorities have to make sure that such immigration trends don’t pose a threat to the indigenous population. How to Obtain the Temporary Residence Permit to Latvia? If any individual wants to get the immigration to Latvia, they will have to invest EUR 35,000 in any of the company which is operating in the nation and the company has paid EUR 40,000 in taxes and the annual turnover of the company has not exceeded EUR 90, 00,000. In the second criteria, the individual has to make a nascent investment of EUR 1, 50,000 in a new company and they can start up with the operation. In the second category of the movement, the individual who is looking forward to the immigration can invest in the real estates in the Baltic Nation. Latvia has ample scope in the real-estate sector and it allows the immigrants to invest in the sector and further strengthen it. If the immigrants are looking forward to investment in large cities, the amount should be EUR 1,41,043, whereas, for immigrants who are hitting on smaller regions, hamlets and villages, they will have to invest somewhere around EUR 71, 150. One of the most promising and lucrative proposition is through depositing in the Latvian bank, but the amount should a whopping EUR 2, 80,000. So, as an immigrant, one can look forward to any of the possibilities for the movement which best suits their need.